Edward Sellers Fitzgerald. Source: Palm Beach County Sheriff’s Office. 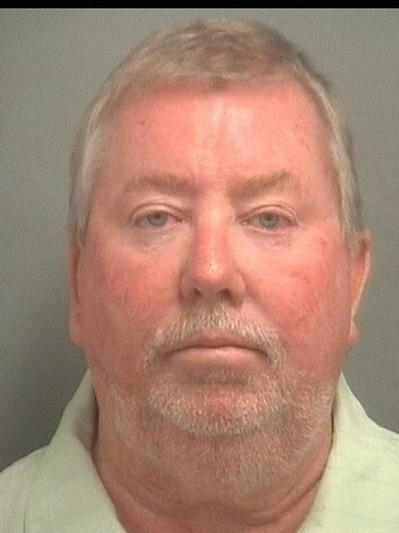 A 60-year-old man wanted in Orange County, Calif., on multiple felony charges in an alleged securities swindle involving yachts was arrested last week by police in Delray Beach, Fla.
Edward Sellers Fitzgerald was booked into the Palm Beach County Jail to await extradition by California authorities. If convicted of all counts, Fitzgerald faces 58 years in state prison, authorities said. Fitzgerald is charged with eight felony counts of theft from an elder, 19 felony counts of using untrue statements in the purchase or sale of a security, 17 felony counts of grand theft and 14 felony counts of issuing non-sufficient checks with the intent to defraud, prosecutors said. Between 2007 and July 2009, Fitzgerald is accused of being the owner of a Dana Point yacht brokerage, Dana Island Yacht Sales and Charters. He is accused of defrauding 26 victims of over $1.5 million in various investment schemes related to the buying and selling of yachts. Fitzgerald is accused of defrauding some of his victims by securing loans from friends and acquaintances under the false pretense of purchasing boats for resale. He is accused of failing to purchase boats as promised, using new investors to pay off previous investors, and stealing the money to pay his personal expenses. In some cases, Fitzgerald is accused of selling yachts on behalf of clients, embezzling the sale funds from his escrow account, and either failing to return the funds to the victims or issuing checks to the victims that were returned as non-sufficient funds. The defendant is also accused of stealing deposits put down by victims for the purchase of boats and failing to secure the sale or return the deposit. The Orange County Sheriff’s Department and the Orange County District Attorney’s Bureau of Investigation led the Fitzgerald probe. Earlier this month, Leonard Ansill, 77, was booked into the Palm Beach County Jail on charges of swindling Floridians in a real-estate Ponzi scheme.